Start Connecting our Brain to Machines: the Final Barrier? If all the information available on Google fit on a USB flash-drive, what would happen if we could plug it directly into the brain? What if we could translate our brainwaves into complete texts, or could connect ourselves to a machine to multiply our mental capacities? Although these examples are still science fiction, the technology that tries to make them possible is not. 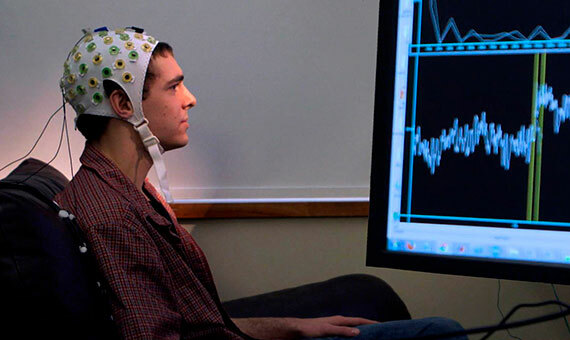 Javier Mínguez and Luis Montesano, researchers from BitBrain, a company specializing in applied neuro-technologies, explain to OpenMind that “it is not that we are close to connecting our brains to technologies to interact with the exterior. It is already a reality.” This connection will be achieved through the so-called brain-to-computer interface (BCI). This is already being used in assistive devices—such as wheelchairs—that move through brain activity, or video games in which, instead of using a mouse, the cursor is moved with the mind. 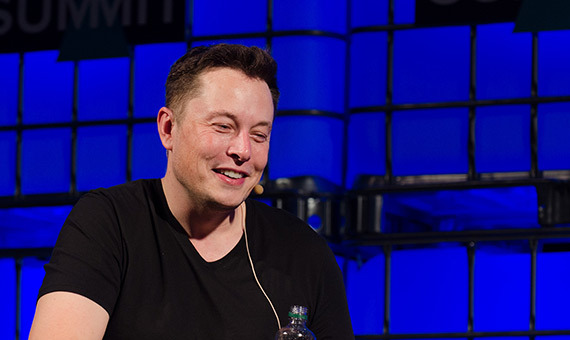 Leading centres in Europe and the United States have been working in this discipline for years, including big technology companies such as Facebook or Neuralink from the magnate Elon Musk, the founder of Tesla and SpaceX. Does this mean that we are coming to the end of the final barrier? “In recent years we have witnessed a tremendous evolution of this discipline, especially in the field of neuro-rehabilitation oriented towards people with significant neuromuscular deficiencies who have lost the mobility of their body,” say Mínguez and Montesano, both doctors in computer science at the University of Zaragoza. Their team in Spain has developed some of the first prototypes of wheelchairs and telepresence robots operated solely with the mind. This, however, does not mean that they are ready now for consumption. “Although they are viable and functional prototypes at the scientific level, it is too early for these prototypes to reach society as they use large, sophisticated and cumbersome measuring devices,” they say. Some of these groups have spent nearly two decades researching in this field. “Discussing the link between mind and machine is as old as the movie Metropolis. (1927). What is new is that the connection of a human brain to a computer with implantable microelectrodes is now a real scientific option,” explained Jens Caluse of the Institute of Ethics and History of Medicine at the University of Tübingen (Germany) in a publication in the journal Nature. Although there has been remarkable technological progress in all this time, especially in devices for measuring brain activity—some are even wearable, to take measurements anywhere from a mobile device—progress is slower than was expected. However, when we think of technologies capable of connecting mind and computer, not all the possibilities are in the future since there are already some fully integrated examples. The most common are cochlear implants to help deaf people, already used by 300,000 people, implants of microelectrode panels in the retina of blind people—although they still have very incomplete resolution—or deep brain stimulation (DBS), which has already been used in thousands of patients with Parkinson’s disease. 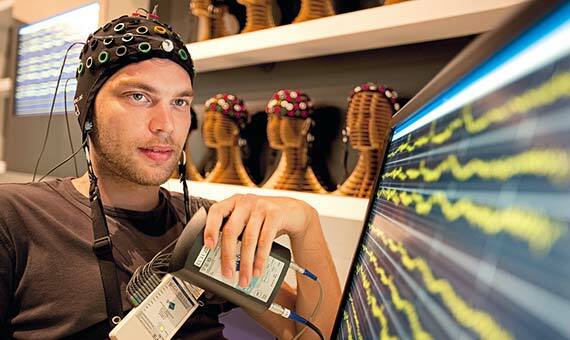 For the applications that are closest to the future, how to move objects, mechanical limbs or the cursor of a computer by simply thinking or imagining some action, two techniques are used: non-invasive—typical in Europe—consisting of collecting the large brainwaves with external electroencephalographic helmets, and invasive—common in the United States—that implant the electrodes themselves in the brain. The main difference between them is precision. “The results with invasive methods are usually more accurate, but they present some practical and ethical problems. The non-invasive are more accessible for their development in laboratories and companies, but their control is not so direct,” explain Mínguez and Montesano. The ethical debate is not only circumscribed to the possible damage that can be caused in the brain, but also by what type of application is worth the risk. No one raises ethical objections if this brain-machine connection is used to treat a disease or improve the quality of life of people paralyzed by an accident or those who are blind or deaf. But controversy erupts if these techniques are applied to improve the natural capacities of the human mind. “In the near future, as the interfaces between brain and computer not only restore functions lost by people with disabilities, but also enhance the abilities of people without disabilities above their natural human capacities, we will have to become aware of a series of problems related to consent, privacy, identity, action and inequality,” reflected James Wu of the Center for Sensorimotor Neural Engineering in Washington State in an article in the Spanish newspaper El País.